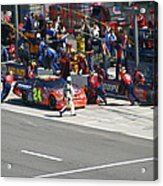 Queen duvet cover (88" x 88") featuring the image "Jeff Gordon Pit Crew In Action" by Kym Backland. Our soft microfiber duvet covers are hand sewn and include a hidden zipper for easy washing and assembly. Your selected image is printed on the top surface with a soft white surface underneath. All duvet covers are machine washable with cold water and a mild detergent. 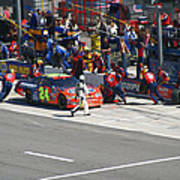 Denis, Thank you so much for the double feature of my photo JEFF GORDON PIT CREW IN ACTION in your group ALL ART... You really work hard on this group...thank you! Eddie, Wow, again, I appreciate you telling me I won a contest! What would I do without you? Thanks! Kym, great capture of the action at this event! Gave it a vote here & in the Sports Action Contest too. Cheri, Thanks for your votes here and over there! I appreciate your stopping by and taking the time to comment! 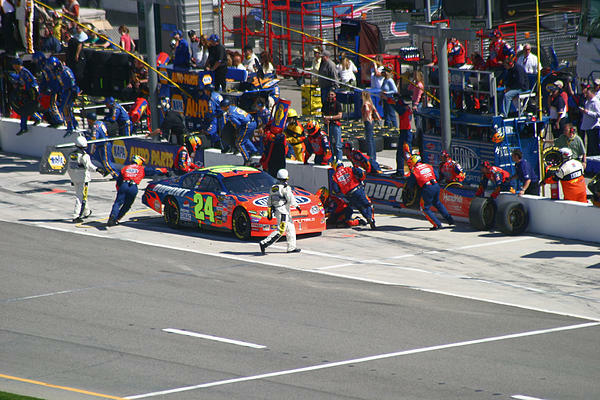 Karol, Thank you for the feature of my photo JEFF GORDON PIT CREW IN ACTION in your group ACTION PHOTOGRAPHY, that's really kind of you! Elaine, Thanks so much for your vote! Karol, Thanks for having the Sports Action Contest, this made me go thru some pictures and find something "SPORTS" related! 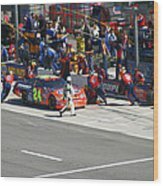 So, if you hadn't had that contest, I probably would not have thought about uploading a couple of picture from my huge library of NASCAR photos.. Anyways, it gave me a chance to revisit the fun and excitement, I had while taking these shots! Thanks so much Karol! 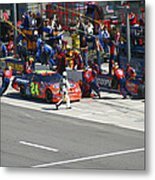 Jeff Gordon pits, it's a lot of good action, so many men, so little time running around the car to get in a pit stop that is less than 12 seconds. NASCAR officials making all the lug nuts are on correctly!